This section provides an overview of the Color-Coded Phonetic Lists. To download the PDF file for this book, look under the PDF FILES menu heading, go to PDF FILES - BOOKS BOOKS LISTED BY LEVEL on the sub-menu, and then click PDF FILES FOR LEVEL 4 - PHONICS PATTERNS BOOKS 1-8. Or, for a shortcut to that page, click here. 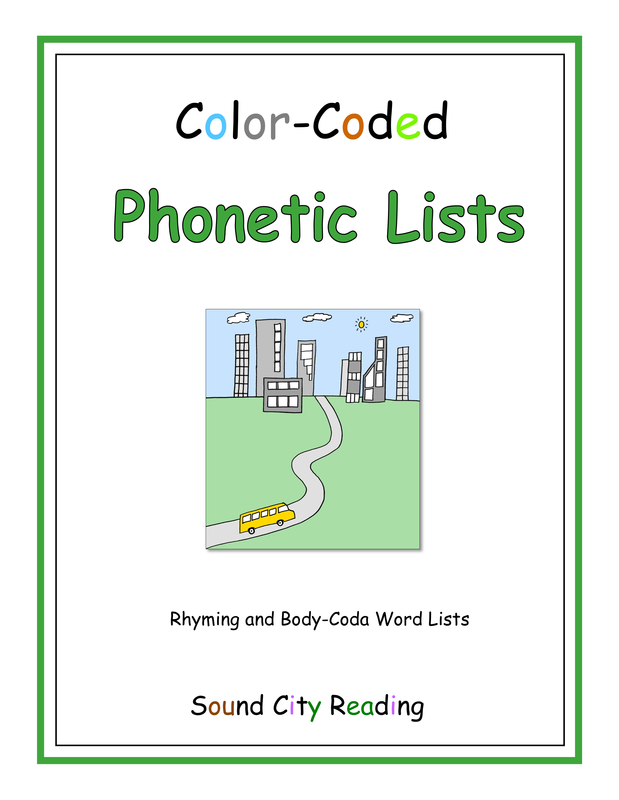 Another book, Color-Coded Phonetic Lists, covers all the patterns taught in Phonetic Words And Stories, Book 1-8. The vowel pattern in each word is color-coded. Each vowel sound is a distinct color. The short and long vowel sounds are the same for each vowel, but the short vowel sound is a light color and the long vowel sound for the same vowel is a darker version of the same color. Patterns that are printed in the same color, for example ai/rain, ay/play, and a_e/safe, sound alike. Patterns that look the same but have different sounds are printed in different colors, as in ow/cow and ow/snow. The book includes both rhyming and body-coda (same beginning sounds) word lists. The words are not illustrated, and there are no sentences or stories. Students practice reading each list of words. The word lists are designed to build decoding fluency for each new pattern that students study. They may be used in conjunction with either the Phonetic Words And Stories books or the Basic Phonics Patterns books, or with both. The word lists may also be used with the Know The Phonetic Code books.